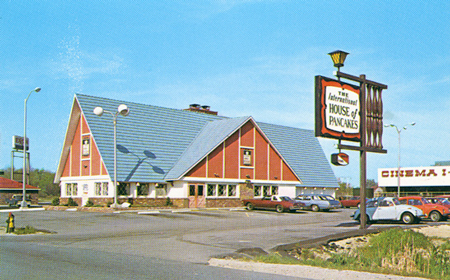 I’m sure most people have memories of going to the International House of Pancakes with their parents or grandparents and getting the Belgian Waffles. This is the exceedingly sweet combination of pancakes, whipped cream, powdered sugar, and berries, and you can add syrup if you still are lucid. Up until a year ago, I’d never had this. On a long press check for Mohawk in Dallas, my good friend and printing genius for Mohawk, Pam McGuire suggested I try them. Well, I’ll tell you, at 3:00 am when you don’t know which way is up, they’re damned good. 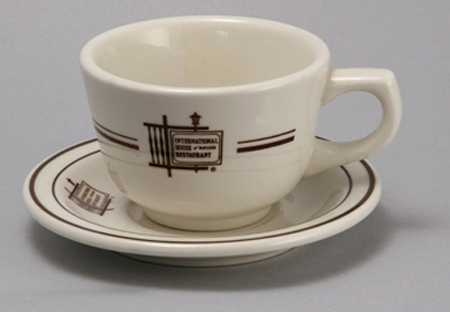 This particular ihop had framed artifacts from the original International House of Pancakes, and they were damned good too. 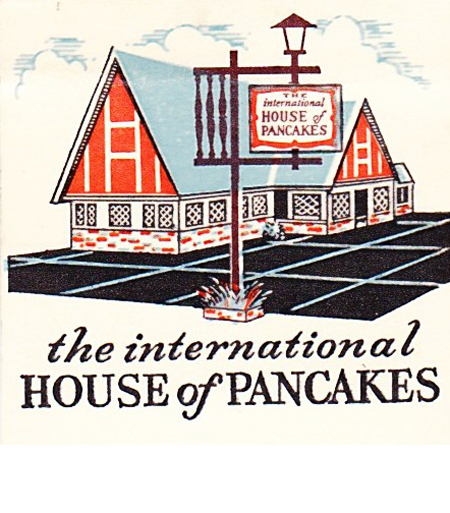 I understand the strategy, thought leader, brand elasticity issues and why the name changed to ihop, but I like International House of Pancakes better. 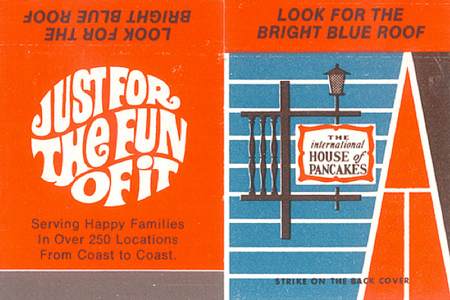 My message to the brand managers at ihop: Why not be proud of who you are? Embrace your pancake expertise. 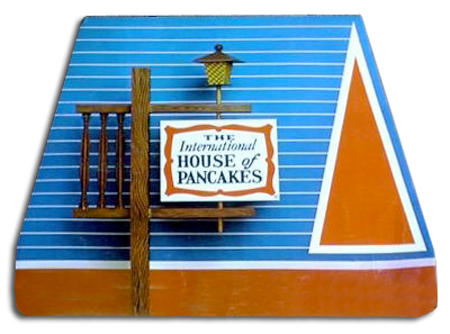 You’re not Denny’s or Bob’s Big Boy, nobody is fooled and doesn’t think “pancakes” and ihop. 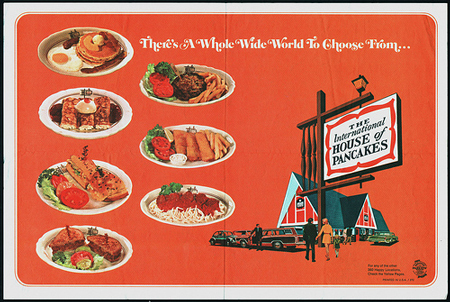 Why not be the best pancake place in the entire world? Dinner be damned, make me proud to order Belgian Waffles.